Are you a home or business owner who is looking to upgrade your HVAC system? With all the options available on the market today, it can be a daunting and confusing task trying to decide which type of system is best for you. If you’ve gotten a couple of quotes from contractors, you might have been told about variable speed heating systems, or 2-stage systems, but still aren’t 100% sure what that means. Don’t worry, we’ve got you covered! In this article, we will explain what a variable speed is and how it can be a benefit to your home or office building when it comes to comfort and cost savings. Traditional systems have just one speed; the furnace is turned on and off as the temperature needs to be adjusted according to the thermostat setting. A variable speed system (also known as 2-stage or dual stage) uses different settings – or power modes – to keep your home or building comfortable. The different settings allow the system to efficiently sustain the desired temperature setting indicated on the thermostat. Instead of waiting for the temperature to dip below the desired level then re-heat the space like a single-stage system would, variable speed utilizes a low power mode to keep air at the same temperature. This technology maintains consistent temperatures and saves money on energy bills. Temperatures will fluctuate more frequently than with a variable speed system. Once the temperature drops under the thermostat setting, the system will kick on, and because it is single speed, it will heat the space as quickly as possible, and even heat the air a few degrees higher. This cycling of temperature and system shut-offs will repeat itself over and over again. It will likely use more energy than necessary to maintain the temperature you are looking for. Because it doesn’t have a low power mode, the shutting off, turning on, and one full-speed setting will lead to more costs in energy bills than you would have with a variable speed system. Because a single speed system has to turn off and on so frequently, there will be more wear and tear on the system. This can lead to more repairs and a shortened lifespan. It is going to be much noisier than a variable speed system that runs at a lower setting. When the air is moving at full speed with a single speed furnace, it forces more dust through the filter, decreasing the quality of the air in your home. A central heater uses an air filter to prevent dust and airborne irritants from flowing through your home or business. A variable-speed unit does a better job of capturing these particles because it can trap more when it’s running on the lower speed setting. This is possible because the air is moving slower and it forces less dust through it. At the end of the day, a single speed or a variable speed system will do the job of heating your home or building. While a variable speed system will likely cost more than a single speed system to install, it will run more efficiently, save on utility bills, heat your home/business evenly, and cause less hassle when it comes to maintenance. Variable speed has a lot of benefits in the long run that are hard to deny. 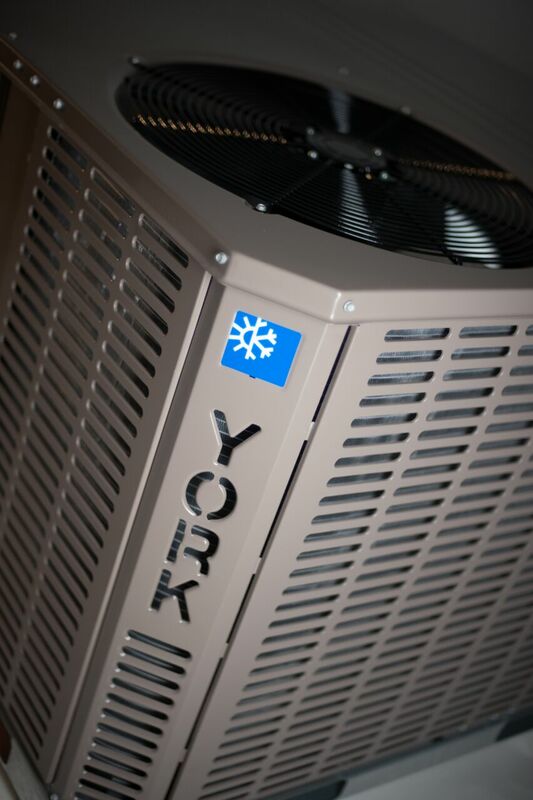 Ask your HVAC contractor about all your options, including variable speed systems from York, Guardian or Luxaire.